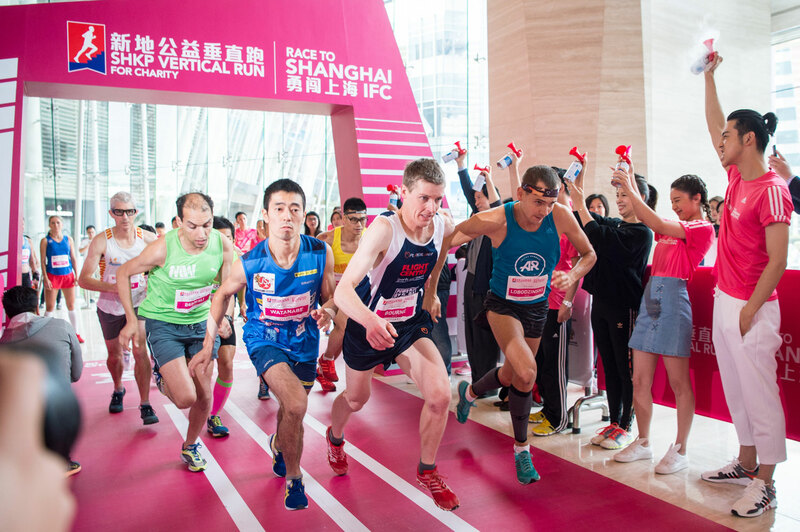 A new record was set on the Two Shanghai IFC, the Sun Hung Kai Properties landmark tower, on the eighth leg of the Vertical World Circuit, Sunday, October 22. 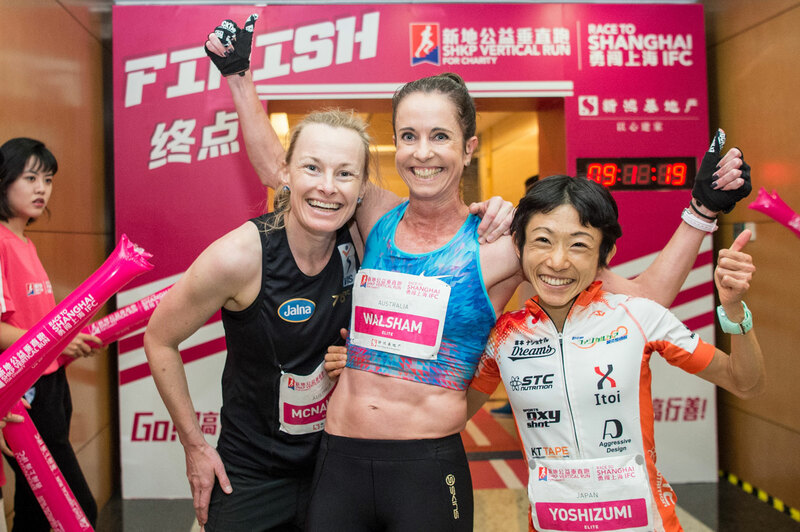 1,650 participants scaled the 1,460 steps of the building in the SHKP Vertical Run for Charity: Race to Shanghai IFC where VWC world champion, Australian Suzy Walsham smashed her own 2016 record by seven seconds to summit in 9’08”. Australian Mark Bourne won the men’s race for the third time running in a battle with world champion Piotr Lobodzinski from Poland, to close in 7’44”, two seconds short of his 2016 record. Lobodzinski’s closed in 7’53″. In third place was Ryoji Watanabe from Japan in 8’12”. Second lady to the top was Japan’s Yuri Yoshizumi in 9’26” and Australia’s Alice McNamara in 10’06”. With eight out of the Vertical World Circuit’s ten races completed, ranking leaders Lobodzinski and Walsham remain unchallenged. Belgian Omar Bekkali ranks second and Bourne, after yesterday’s win, takes the third slot. Walsham reigns supreme after five straight wins. She is followed by Italian Cristina Bonacina and Lenka Svabikova from the Czech Republic. 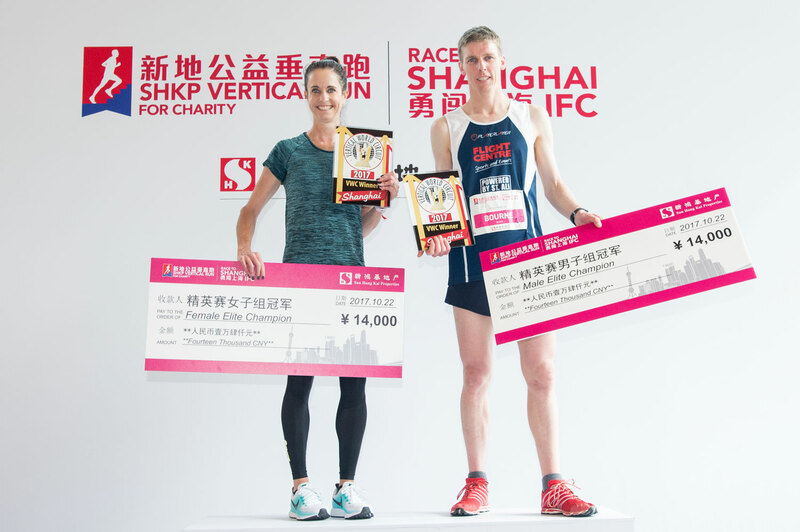 For the fourth time the Shanghai race has featured on the Vertical World Circuit after the resounding success of the “sister” event in Hong Kong, which represents the circuit’s final race. 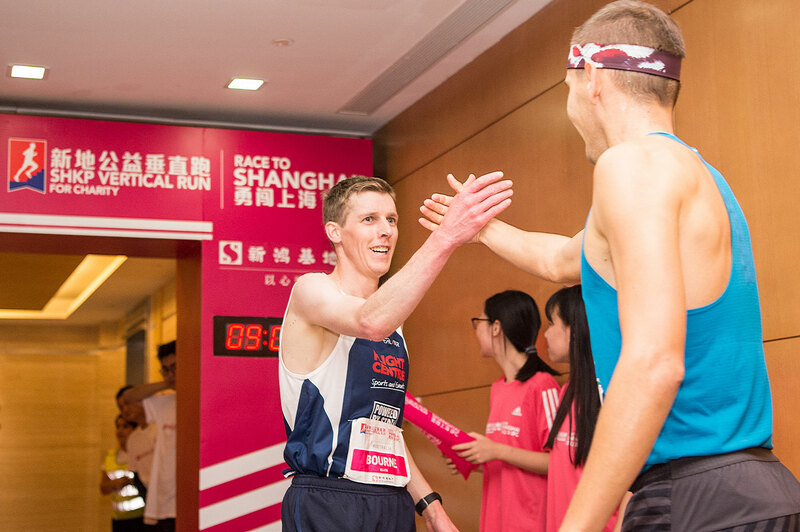 The SHKP Vertical Run for Charity – Race to Hong Kong ICC will again star as the VWC grand finale on December 3 with where the world champions will be crowned and the end of season bonus prizes totaling 106,000 HKD will be awarded. Next and second-last stop on the circuit will be new entry Harukas Skyrun in Osaka, Japan on November 12. 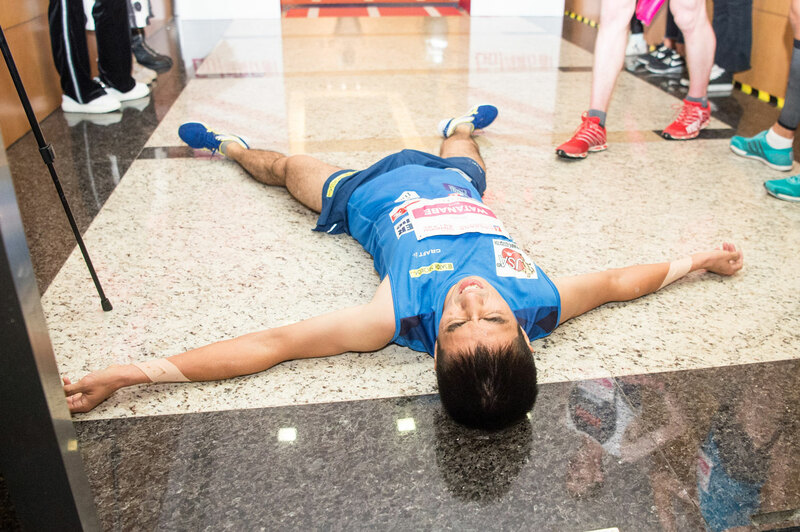 It featured as a VWC Exhibition race last year and will attract the world’s top runners to beat the records set by Lobodzinski and Yoshizumi. *The VWC world champion titles are based on the score of five out of ten races, with 20% extra points awarded at the grand finale.